Some of the articles we were interviewed or featured in, sharing information whenever we can! October 31, 2014: Education-oriented family festival coming in Nov. They even have a partnership with Recycle Brevard and serve as a drop-off site for items that can’t normally be recycled that are part of the Terracycle brigades they participate in. November 13, 2013: Recycle Brevard - A Day of Sustainability! 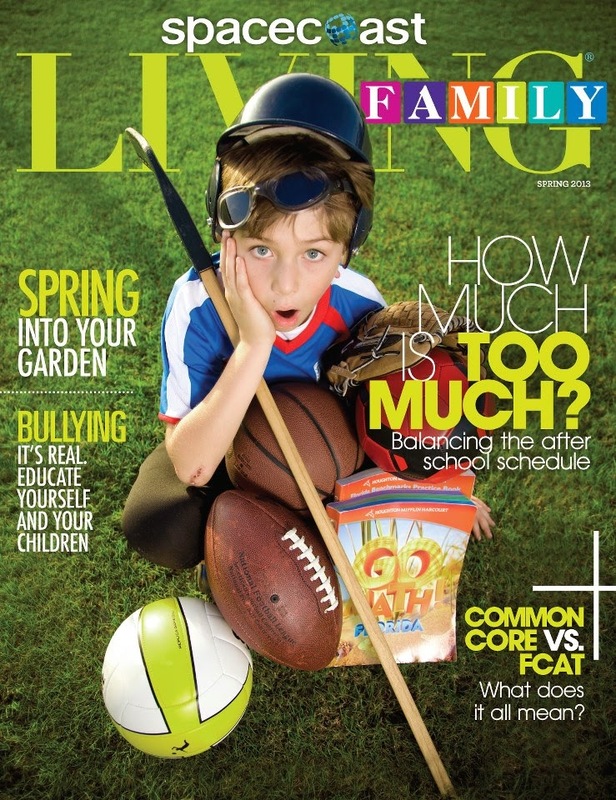 February 2013: Space Coast Living Family invited Recycle Brevard to write an article for their Spring Edition of the magazine. 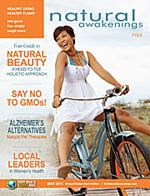 The article, Make Every Day Earth Day, shares 10 ideas on how to enjoy a more Earth-friendly life in Brevard County. December 2012: Viera Voice published an article on the results of our 2nd Annual Recycling Fun - Toy Swap/Drop Off. We collected more than expected and that was news we wanted to spread around the community in hopes to get even more residents to participate in the next ones! 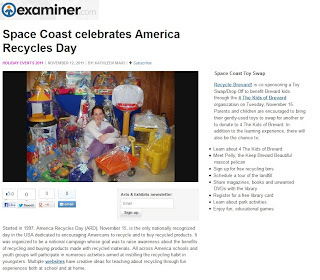 November 2012: The Beach 98.5 included our 2nd Annual Recycling Fun event in their Public Announcements of November 2nd. 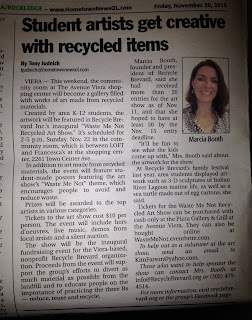 November 2012: Hometown News announced the 2nd Annual Recycling Fun - Toy Swap/Drop Off event organized by Recycle Brevard! inviting residents to participate. 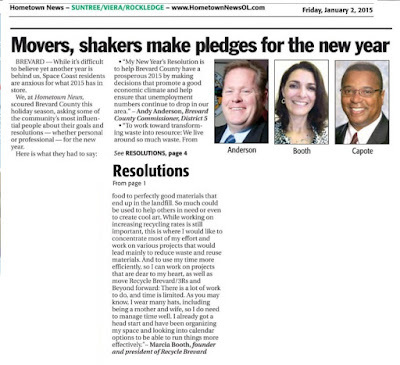 January 2012: BrevardTimes posted information about Recycle Brevard! 101 project created by Recycle Brevard! Entitled Start Your Spring Cleaning: Recycle Brevard Offers Opportunites to Reduce, Reuse, & Recycle, the blog post invited residents to start their spring cleaning and practice the 3Rs with Recycle Brevard! 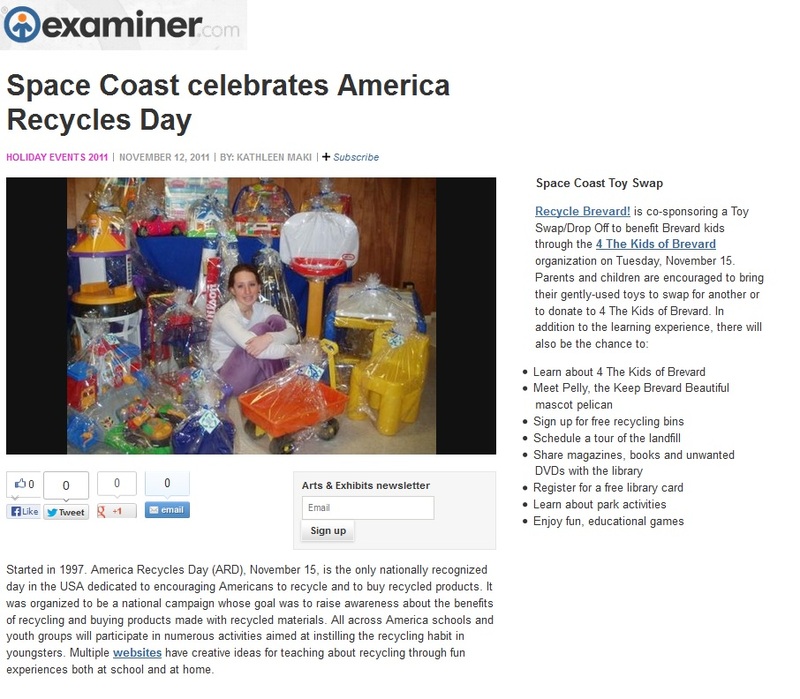 November 2011: Examiner.com wrote the article Space Coast celebrates America Recycles Day describing the event and encouraged participation in Recycle Brevard's toy swap. November 2011: Brevard County Board of County Commissioners through SCGTV broadcast the board meeting where November 15, 2011 was officially proclaimed America Recycles Day in Brevard County - ITEM I.D. 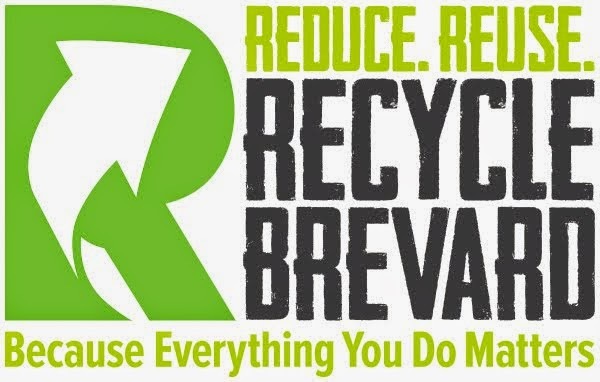 on the agenda - in preparation to our first America Recycles Day event organized by Recycle Brevard! October 2011: Viera High School students report on our Make Art, Not Trash! recycling project in partnership with Redberry. The video, Viera’s 3D Art students support community recycling project, was created by the Viera High School VTV's crew. 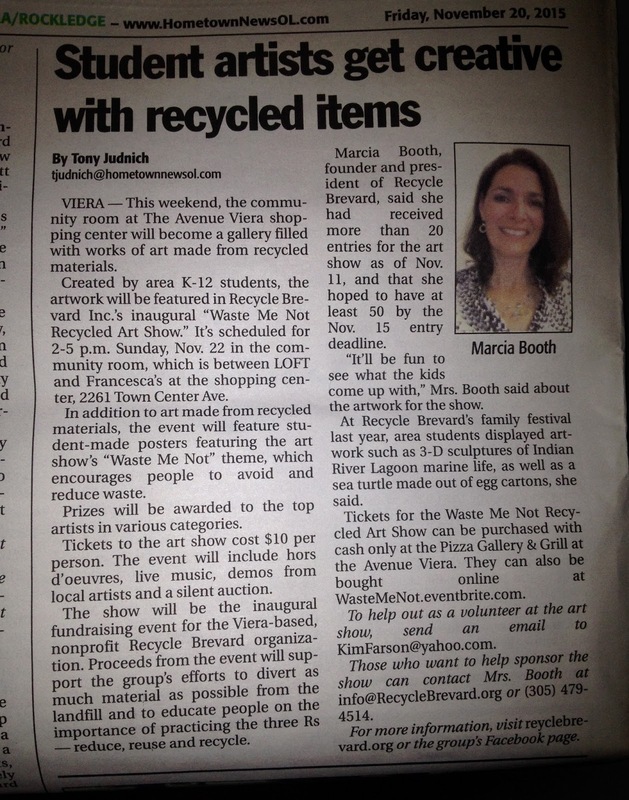 September 2011: Hometown News published an article on Recycle Brevard's Make Art, Not Trash project developed in partnesrship with Redberry and Viera High School. August 2011: The Beachside Resident mentioned Recycle Brevard's project and event in its Word on the Street. May 2011: Natural Awakenings of Melbourne/Vero Beach printed a piece on Recycle Brevard!, Calling All Brevard Residents to Recycle!, in an effort to help spread the word and forward the cause in our community. April 2011: The Beachside Resident published a note in its Word on the Street section about the Recycle Brevard initiative.